Book your Last Minute Deal here. The Promo is open to all RCBC Bankard Mastercard Principal and Supplementary cardholders whose accounts are active and in good credit standing. Selling period is until August 14, 2019. 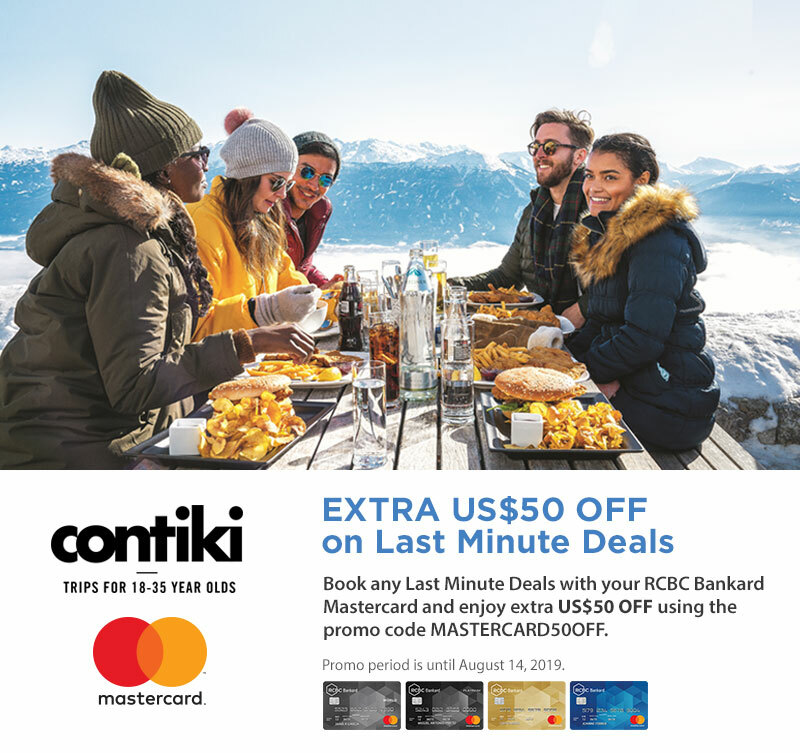 To avail of the promo, a qualified cardholder must use his RCBC Bankard Mastercard credit card to pay for his bill at https://www.contiki.com/ap/en/deals/last-minute-deals by using Promo code: MASTERCARD50OFF. Promo code can be combined with Last Minute Deals and Ongoing Deals (Travelling Again, Multiple Trips, Book with Friends and Triple Share). Promo code cannot be combined with other offers. Bookings must be made with a US$200 deposit and paid in full 45 days before departure or before Last Minute Deal payment deadline, whichever is earlier. Offer is valid for online bookings made through Contiki Asia only. Contiki Holidays reserves the right to amend the terms and conditions of the Offer at any time without prior notice. All standard Contiki brochure conditions apply.